AAA predicts that the Thanksgiving travel volume will reach the highest level since 2007 and more than 46 million Americans will travel from Wednesday through Sunday, which is a 4.2 % increase compared to 2013. Luckily, the almost 90 % of travelers who have decided to take a road trip this year, will be able to enjoy the lowest gas prices on Thanksgiving since 2009. Here are a few quick tips for automobile and air travelers, who are going to hit the road this week. Since more people are expected to travel this week, make sure that you pack light and don’t have to check in your bags. Carrying on your small bag can save you a lot of waiting time and significantly reduces the chance of losing your belongings during the trip. Another plus: No baggage fees! Make sure that gifts are not wrapped and use gift bags instead. This way you can prevent them from getting unwrapped by the security personnel. Let’s be honest: How often did you forget something at home because you were packing your bags in a rush? Not this time! Put important medication and chargers in your handbag, as well as your wallet (don’t forget your I.D. or passport) and important numbers on a piece of paper. A portable travel charger for your mobile device might be a good idea, especially when you are going to be on a longer trip. Below you will find my personal checklist for corporate and leisure travel, feel free to use and customize it to your personal needs. Even though the roads and airports will be crowded, Thanksgiving is actually the perfect time for corporate travel. Why? Nobody is going abroad, the international corporate travel sector suffers and many airlines have to reduce the prices (up to 50%!) for their business class to fill capacity. So why not eat Turkey in another country and get some business done, too? 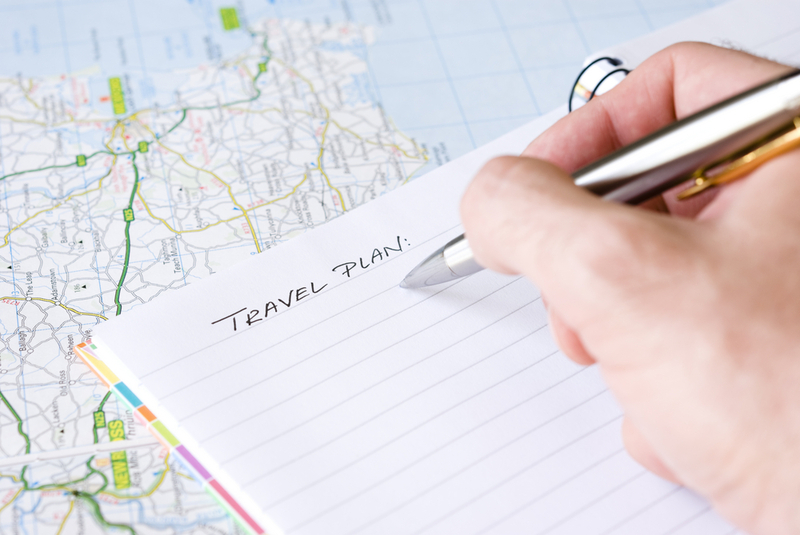 If you don’t want to get the typical “holiday headache”, plan your trip wisely. The day before Thanksgiving is the busiest travel day of the year, that’s why you should consider leaving early on Thanksgiving Day when many people are already together with their families. The traffic won’t be as bad and your journey will be much more comfortable. Avoid driving back home on Sunday, since the streets and airports are going to be extremely crowded. Especially if you are traveling with kids, you should pack some light snacks for the trip. Buying food at the airport can often be very expensive and to be honest, a dry piece of Starbucks cake for $8 is not exactly what I would consider a delicacy. If you are traveling by car, packing snacks can save you a lot of time, because you don’t have to stop somewhere and find a restaurant that everyone likes. Sandwiches, cookies and sliced apples are handy and leave enough space for the big Thanksgiving dinner on Thursday. “Hey, I am busy packing” you might say now, but there is a good reason why you should still have a look at your Facebook or Twitter. If you are taking the plane this year, you should follow your airline and airport to get important updates. If there is a delay, you will be the first to know. No matter how much you plan ahead, there can always be delays. Try to relax, make the best out of the trip and remember that other travelers are probably stressed, too. So smile, think of the delicious food that is waiting for you and enjoy your holidays!